Our machines a myriad of custom Aluminum parts and has done it so for 10 years! With our years of experience in precision machining field, we can deal with client’s specific and unique applications. We have vast of experience machining the following list of the most commonly used aluminum alloys numbers for various applications. 7075 — Used for aircraft or other high-strength applications projects. 6063 — Used for some electronics and heat sinks and is ultra-corrosion resistant. 2024 — Most commonly used for aircraft and marine applications. 5052 – Used mostly in sheet metal applications as well as sometimes used in marine applications due to its excellent corrosion resistance. UYEE maintains a large inventory of Aluminum 6061-T6 because this is the most commonly specified metal material in industry. Maintaining a large inventory enable us begin part production the same day from prototype part to mass production which we receive your project, we have expansive experience CNC Aluminum machining other various aluminum alloys not mentioned. Let us help you with your specific application requirements to provide you the best service and experience. We offer a full range of 3 and 4 axis CNC machining in a multitude of aluminum alloys, other metal materials and tempers to deal with any specification your project may request. We have extensive expertise in Aluminum CNC Milling complex 3D geometry shape and thin wall features to high requirements tolerances. We are able to handle a wide range of materials, such as copper, brass, SUS, steel, titanium, aluminum etc, as well as polymers such as PE, Nylon, ABS, POM, Polycarbonate, Polyethylene and much more. We could work with you on assembly and CAD design, as well as provide anodizing, plating, painting, power coating, and welding. Our capabilities expand beyond CNC milling to provide additional value added services. Aluminum material is a non-ferrous material, means that it’s not magnetic but it does tend to hold heat more than ferrous materials. Knowing about the properties of your metals helps select the best CNC machined aluminum process for that particular application. We are able to provide CNC machined part for prototype machining, low volume manufacturing and short run production for high tolerance, specialty components. Through our in-house precision machining capacity and the support services, we can complete your components quickly and send out on time. UYEE will be a good choice for your next project which needs prototype components shipped with high quality and very fast speed. 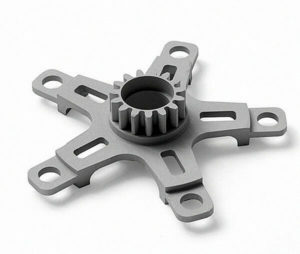 UYEE provides prototype service for both plastic and metal parts. CNC machining by our advanced machines, we could offer you components with high accuracy and excellent surface finished. CNC prototyping aluminum is ideal for making aluminum Parts that look and feel like production made parts. They are able to achieve tighter tolerances with nice surface finished. Our machined prototypes have all the features needed to make a fully functional part, including threaded holes and tapped and precisely flat mating faces.